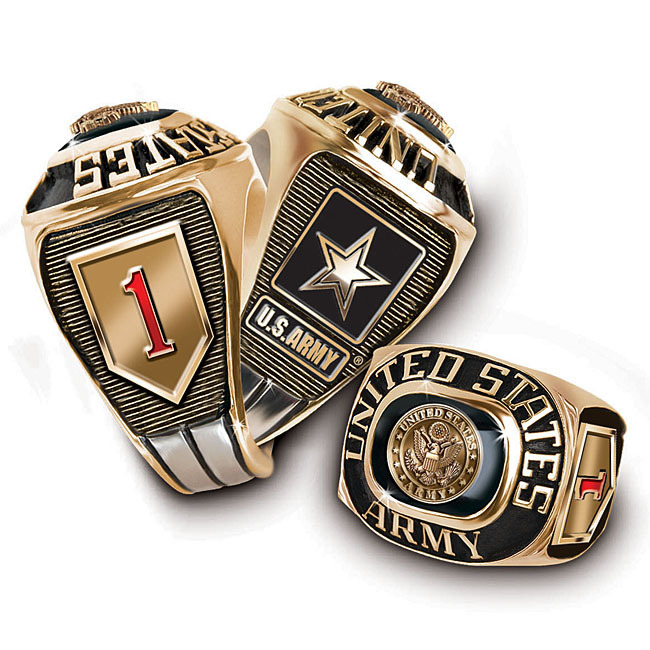 We proudly present our Official United States Army Career Watch featuring a die-struck Army Service Branch Emblem dial, plus your Career / Division Insignia and “U.S. 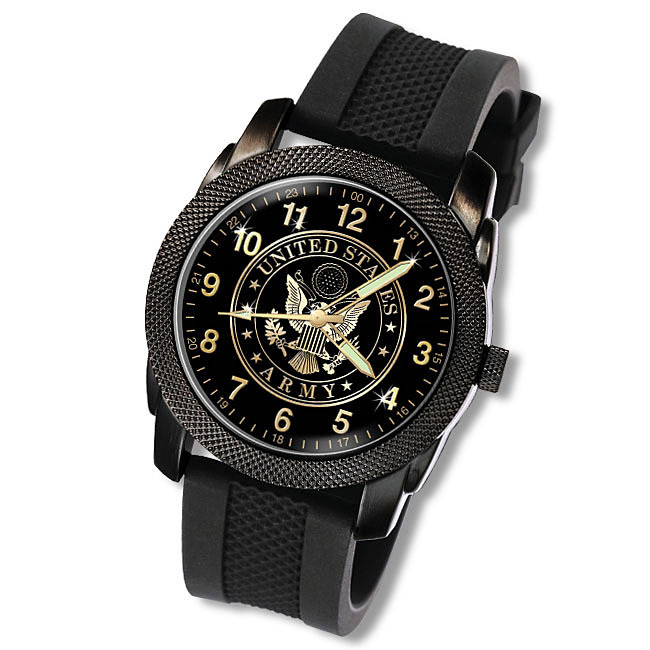 ARMY” ribbon set within the exclusive watch band. The case back will be engraved with your initials and years served. 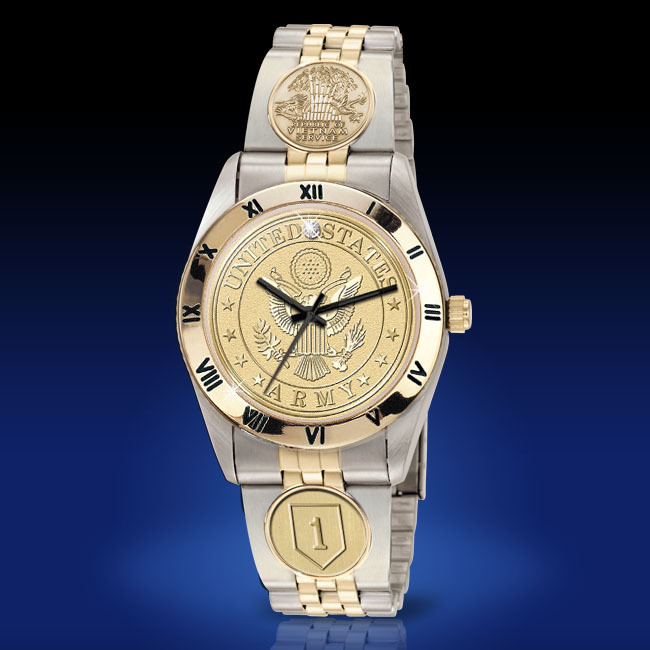 • Custom watch band is decorated with 23 karat gold and inset with special “U.S. Army” enamel Ribbon and your Career Insignia. 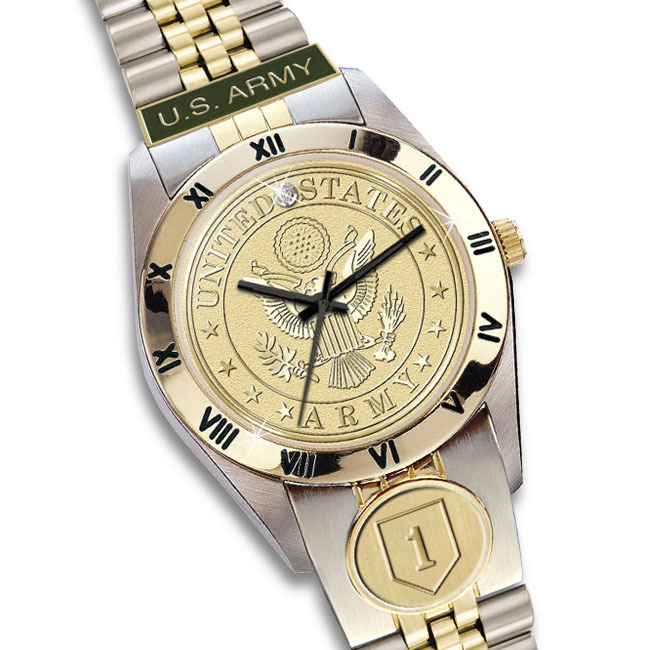 • Watch dial is die-struck with the U.S. Army Service Emblem. • As a final touch of exclusivity, your initials and years of service will be engraved on the caseback.